24-hour forecast: Sunny with a few cloudy spells today and cloudy at times tonight. A few showers or periods of light rain will occur mostly over the sea and along southern coastal areas. General Outlook: For Wed. and Wed. night is for some cloudy spells with isolated showers or periods of light rain mostly over the sea and along the south coast. Daily Tropical Weather Outlook: At 3:00am Tropical Storm Rina was centered near 31.4N, 49.8W or about 880mls East of Bermuda. Today N-NE 5-15 kts Light Chop 2-4 ft A FEW SHOWERS OR PERIODS OF LIGHT RAIN. Tonight NE 5-15 kts Light Chop 2-4 ft A FEW SHOWERS OR PERIODS OF LIGHT RAIN. Tomorrow N-NE 5-15 kts Light Chop 2-4 ft A FEW SHOWERS OR PERIODS OF LIGHT RAIN. Outlook N-NE 5-15 kts Light Chop 2-4 ft ISOLATED SHOWERS OR PERIODS OF LIGHT RAIN. 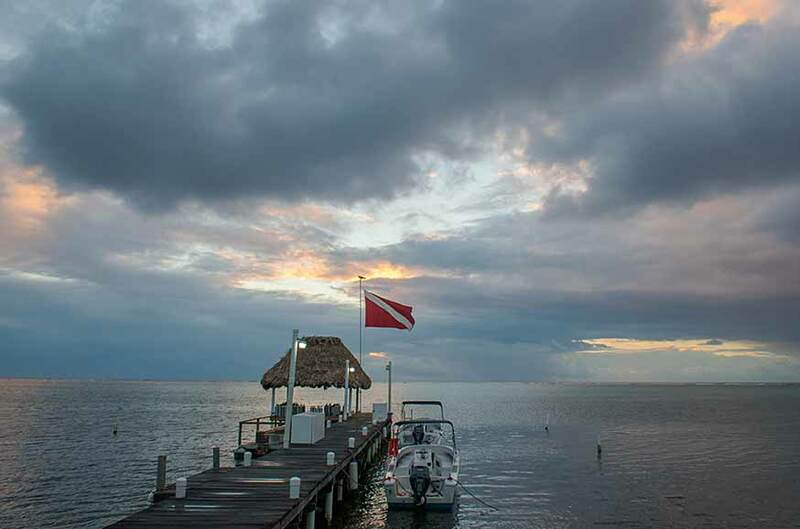 On Ambergris Caye this morning we have sprinkles of rain and a breeze from the N-NE the sea on our East side is calm from the N-NE wind placing the Barrier Reef in it's lee. 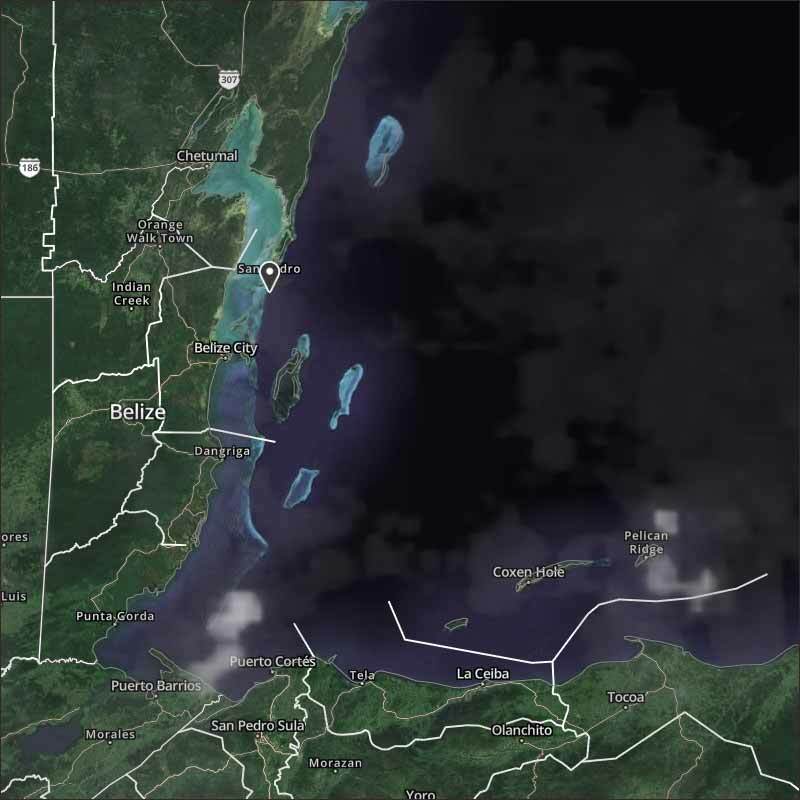 The expected high today is 86 f.
Odd weather at present, sort of easterly Caribbean cloud moving over northern Belize, and at the same time chunky cloud from the north. Causing some rain shower patches along the coast, mainly out at sea. 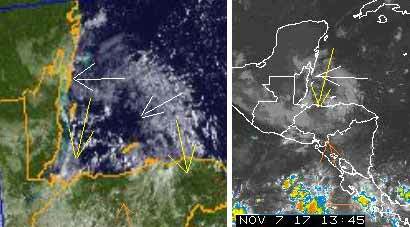 Fog covering much of Belize this morning, light SW "tiger" wind. Looks as if today will be quite a mixture of sunshine and cloud, with a risk of rain near the coast.